There are a number of issues where residents can be or should be educated to reduce a possible mould exposure. Mould spores are everywhere and only require the right conditions to create havoc. To some it will be no issue at all except that it looks unsightly however to many it could be life threatening. It is also interesting to note, whilst one is not affected by mould, or a chemical for that matter at this point in time, one can very easily become sensitive at a later stage. Did you know there is a quick and easy way to test any surface to see if it is suitable for the Livos oil? 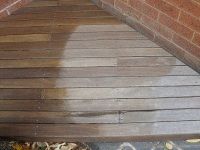 This includes new surfaces or those that have been previously treated. 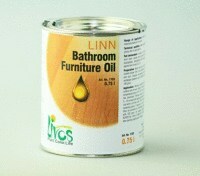 The LINN Bathroom oil #1703 is our newest product. It has a higher gloss finish and looks similar to a varnish more than a penetrating oil. The higher waxes that provide the added sheen also provide excellent protection from the soaps and harsher bathroom products common in that area. Children, more so than adults are influenced and effected by the environment, pollutants and chemicals, so why would you allow your child to use something on their sensitive skin if you did not know what it is made of? This is a school hall in Bairnsdale that has used local tradespeople to finish their 757 sq mt of new harwood Vic Ash Flooring in May 2011 using the Livos eco friendly oils, even with the many visitors and years later it looks amazing! Or so my daughter said when she dragged home a thickly varnished table. On closer inspection, it was found to be made out of solid hardwood. The size and shape was good but it was so heavily varnished and badly done at that! How many people do you know that have some form of allergy or sensitivity, wether the exact cause is known or not? Why does Australia have one of the highest asthma and allergy rates in the world? 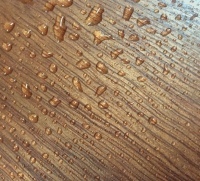 Did you know that your choice of building materials and coatings may have long term ramifications on many levels?